AUSTIN, Texas — He broke a six-year-old state record with a 25-yard cast on a rod he built himself. And he’s just 13. Sugarland, Texas, eighth-grader Nick Rizopoulos topped the existing state fly fishing record for common snook with a 29-inch, 6.5 pound fish he caught in the Brownsville Ship Channel Nov. 25. It wasn’t the first of the 10 snook he caught during a two-day fishing trip with South Padre Island fishing guide Capt. Eric Glass, but it was the biggest. Rizopoulos measured the fish and then weighed it on a hand-held scale before releasing it. 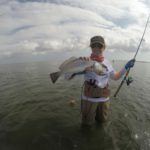 The scale has since been certified by the International Game Fish Association, making the catch eligible for both a junior division and all-ages state fly fishing record. 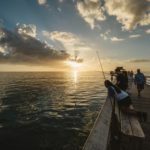 Because snook are a semi-tropical species with a tenuous, if growing, toehold in Texas, current regulations allow only one fish per day between 24 and 28 inches. 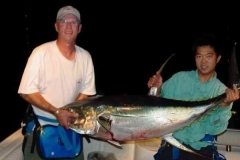 “We had a big discussion before we went and said: �If we catch a fish that’s in the slot, what do we do?’” said John Rizopoulos, Nick’s father. His son’s answer? Let it go, whether it’s in the slot or not. 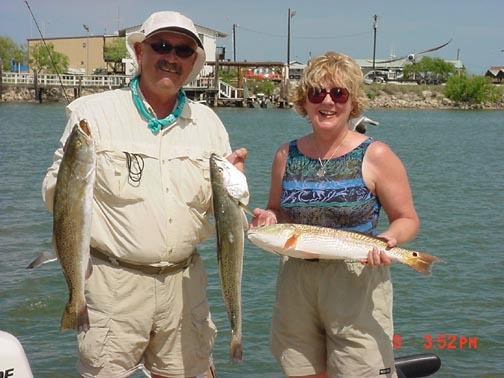 The relatively warm waters of the Lower Laguna Madre offer Texans the best shot at a snook, and fish that nudge the scales into double digits are not unheard of. 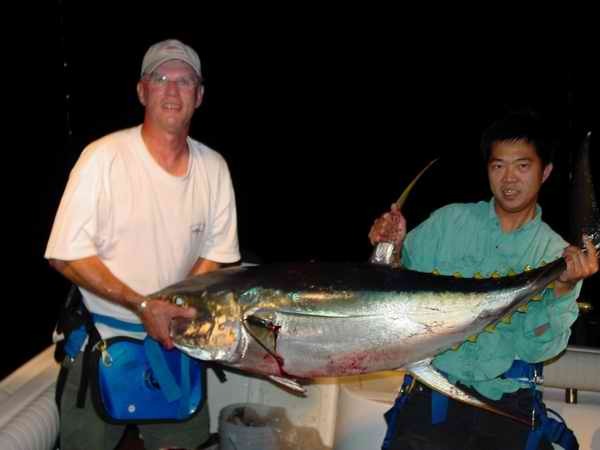 But the hard-hitting gamefish are elusive and are rarely caught by accident. The snook isn’t the angler’s first record. 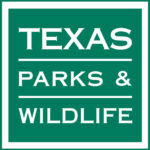 In fact, Rizopoulos now holds six of the nine junior division fly fishing records currently listed on the Texas Parks and Wildlife Department Web site. Rizopoulos said he realized more than a year ago that a number of the fly fishing records in the junior division were either wide-open or beatable. 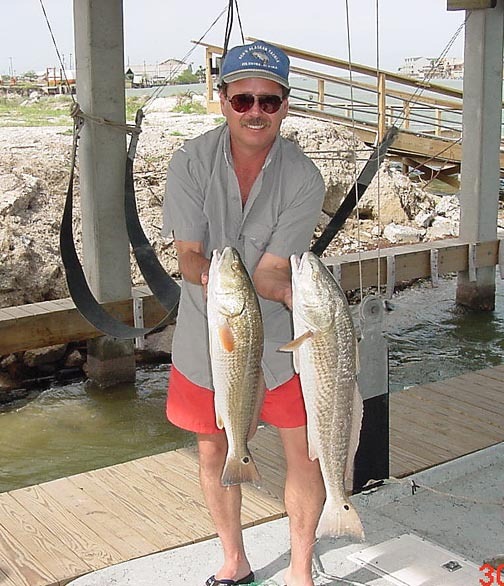 During a 2004 Thanksgiving trip to the southern tip of Texas he set records for red drum, ladyfish, jack crevalle and gray snapper. The day before catching his record snook, he broke the existing spotted seatrout record with a respectable 22.5-inch, 3 lb., 6 oz. fish. And he’s nowhere close to being done. Rizopoulos said he is looking forward to coming out of the junior division at age 17 with a lot of experience and — as he put it — more money for better gear. Glass said Rizopoulos is probably the most proficient young long-rodder he’s ever fished with. Rizopoulos’ father, John, bought his son his first fly rod half a decade ago and watched him practice on ponds near their home. He credits his son’s success in part to Glass’ patient coaching, but also to Nick’s dedication and determination. Nick said that, while the records pursuit is fun, it’s not the reason he fishes. 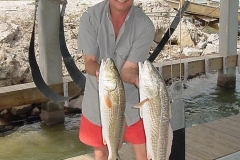 Rizopoulos ties many of the flies he uses — “Nick’s purple crab” has proved surprisingly effective on red drum — and he built his 9-weight rod from a Sage blank. Not that the lack of company is likely to slow him down much. His next goal: a Texas tarpon. The fly fishing category for that species is currently wide-open, for both kids and adults.